James Burton and Sons of Field and Tyldesley Mills, Tyldesley, Leigh; and of 6, Southgate Manchester. 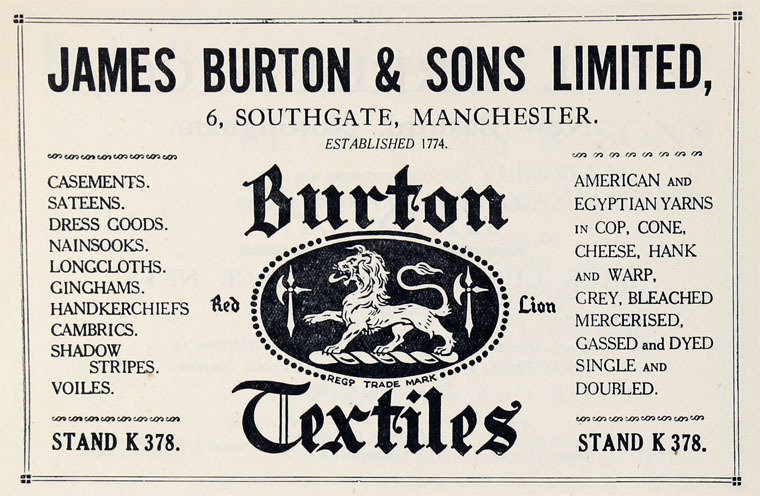 In 1891 Burton's mills had 157,196 spindles and 570 looms. 1926 The mills were stripped of machinery and demolished. This page was last edited on 21 March 2018, at 21:52.